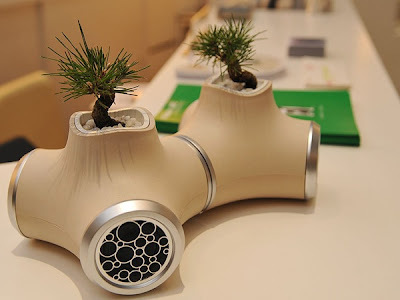 15 Modern Speakers and Creative Speaker Designs - Part 4. Modern speakers and creative speaker designs from all over the world. 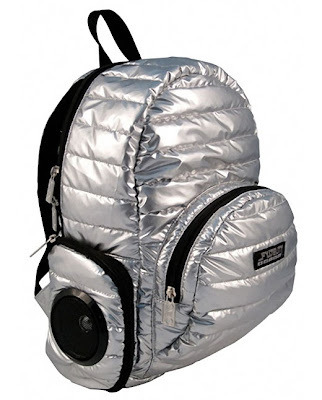 Puffy Stereo Backpack: It comes with built-in speakers, a 3000 milliwatt amplifier, a standard 3.5 mm input jack, all you need to do is connect your iPod and it can play music for up to 8 hours. 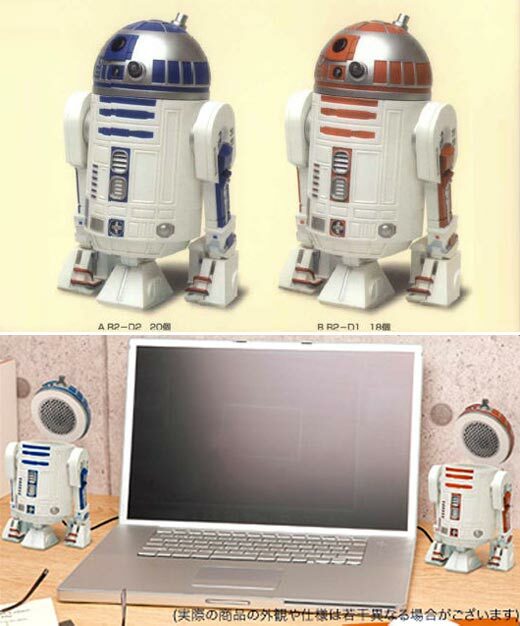 R2-D2 Speakers: To open the speaker you need to flip the head of the R2-D2; each speaker measures about 12cm, and can be connected to your laptop or MP3 player. 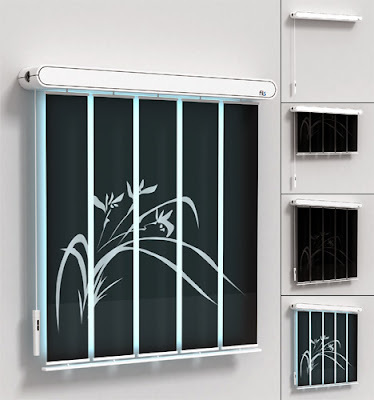 Sound Blinds Speakers: An innovative design concept by designer Wonho Bae that combines window blinds with sound speakers. 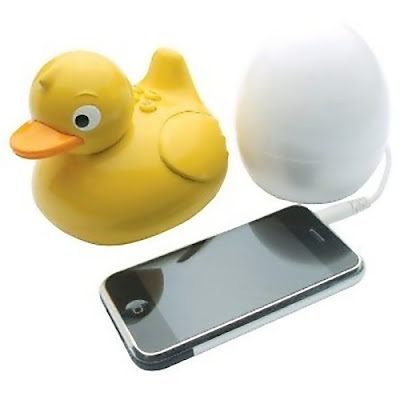 iDuck Wireless Speaker: Simply connect your MP3 player or iPod into the transmitter and take the waterproof duck speaker into the bath with you. 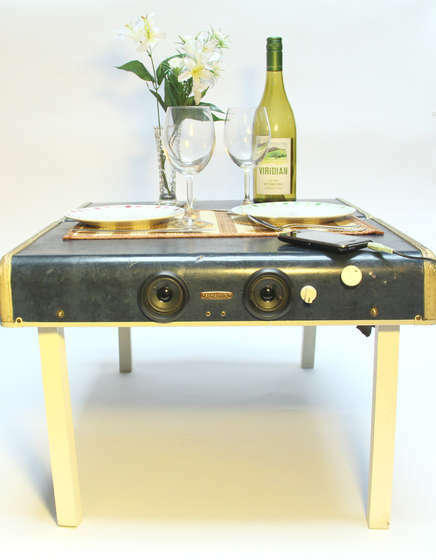 Suitcase Picnic Table and Speaker System: Reuse an old suitcase to make a picnic table for your food, silverware and that also doubles as a speaker system. Here are the instructions - link. 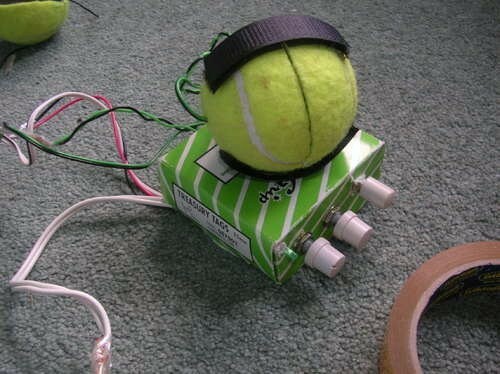 Portable Tennis Ball Speaker: Turn old tennis ball into tennis ball speakers for your MP3/iPod. 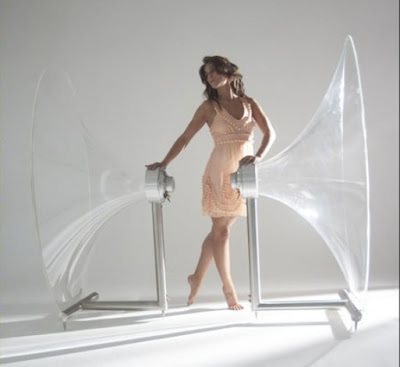 Transparent Speakers: Ferguson Hill's FH001 is a horn speaker made of clear acrylic. Sound Pillow: The sound pillow comes with built-in speaker; connect the removable wire from pillow to your MP3 player via its headphone jack. 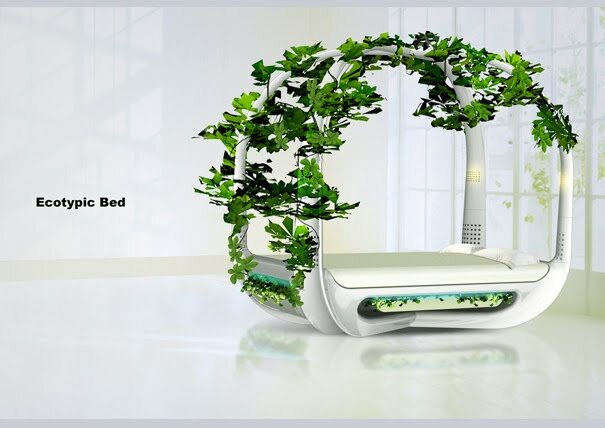 Ecotypicbed: It has reading lights above your head, speakers for music, flower box for vines to grow up the sides and light for the plant to grow, and more. 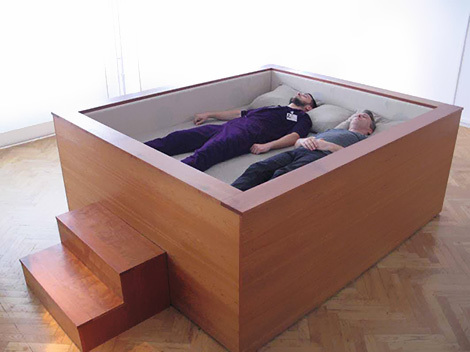 Sonic Bed: Modern bed by Kaffe Matthews. 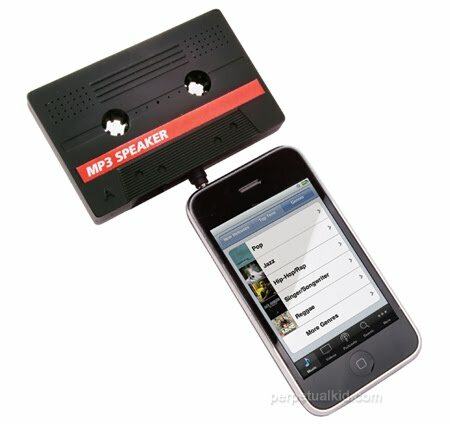 It includes loud speakers with subwoofers. 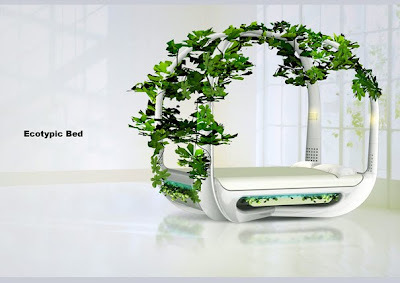 Sound Garden Speakers: These speakers generate their own electricity using the water added to them plus you will be able to enjoy great music at the same time. 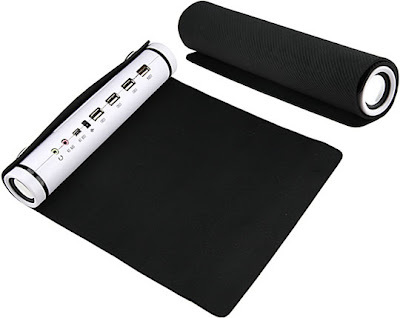 Rollup Mousepad with Speaker: The rollup mousepad features four ports and a speaker that can be connected to portable audio players, laptops and other digital products using a standard 3.5mm audio interface. 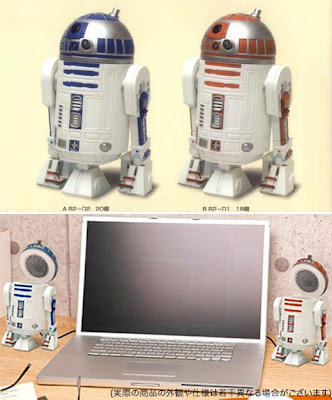 Don't miss to check out "Modern Speakers and Creative Speaker Designs - Part: 1| 2| 3| 4."